This flavorful drink combines RumChata with Caramel Vodka for a combination that will please anyone! Perfect to serve at any party, this is a dessert in a martini glass! Now that the Holiday season is here, one of my favorite things to do is serve new cocktails for the occasion! Last year, I shared the Bailey’s Peppermint Martini’s with you all and it was a huge hit! Even the Eggnog Mudslide was a favorite! 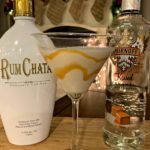 This year, I have SEVERAL cocktails coming up, but I decided to share my new favorite first…..the salted caramel martini! Yum!! Only two ingredients, a few shakes, and a pour! That’s it!! Doesn’t get much easier, right?!?! Last night, my hubby and I were waiting on dinner to finish cooking. We had a few minutes to spare, so I decided to whip these up for us. I made my hubby one first so that I could make mine and take pictures for the blog. After one sip of his drink, his eyes lit up and he said it was a winner! It was just the right amount of caramel, the perfect creaminess, and when the two were combined…..it was Heavenly!! I drizzled caramel sauce in the glass before pouring the drink inside and it made it more festive! You can skip that step though if you don’t have any caramel sauce on hand! 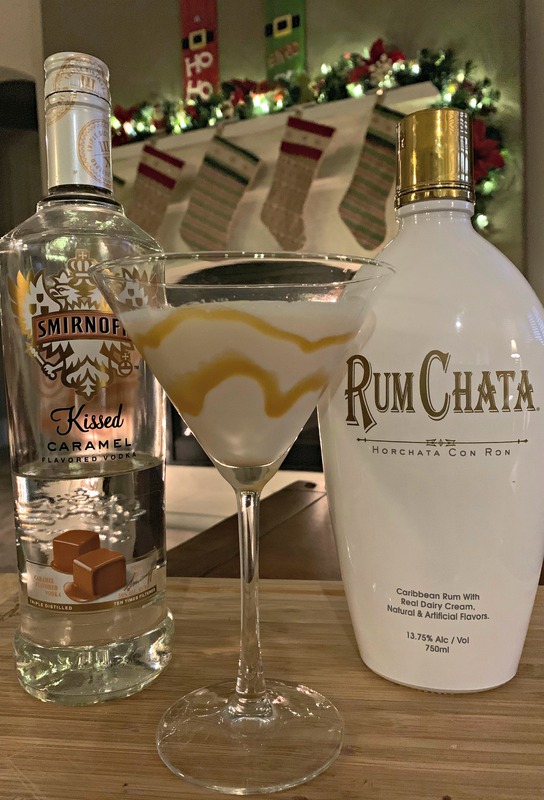 If you are hosting a party this Holiday season, having friends or family over, or even just looking for a tasty cocktail to enjoy in the evening…..look no further! You’ll love how quick this comes together! Its like dessert in a glass! Enjoy but please be sure to drink responsibly!! Rim martini glass with caramel syrup and coarse salt (if desired). Drizzle caramel sauce inside martini glass (if desired). 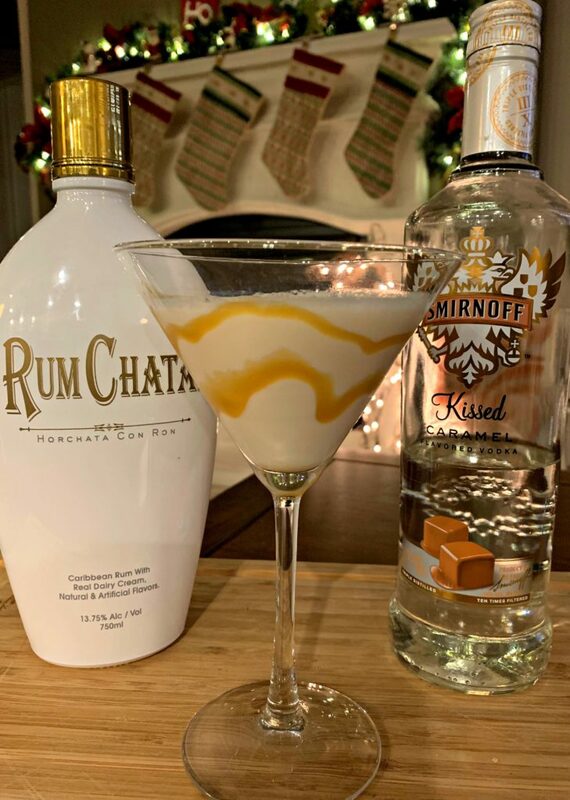 Shake caramel vodka and rumchata with ice to chill. 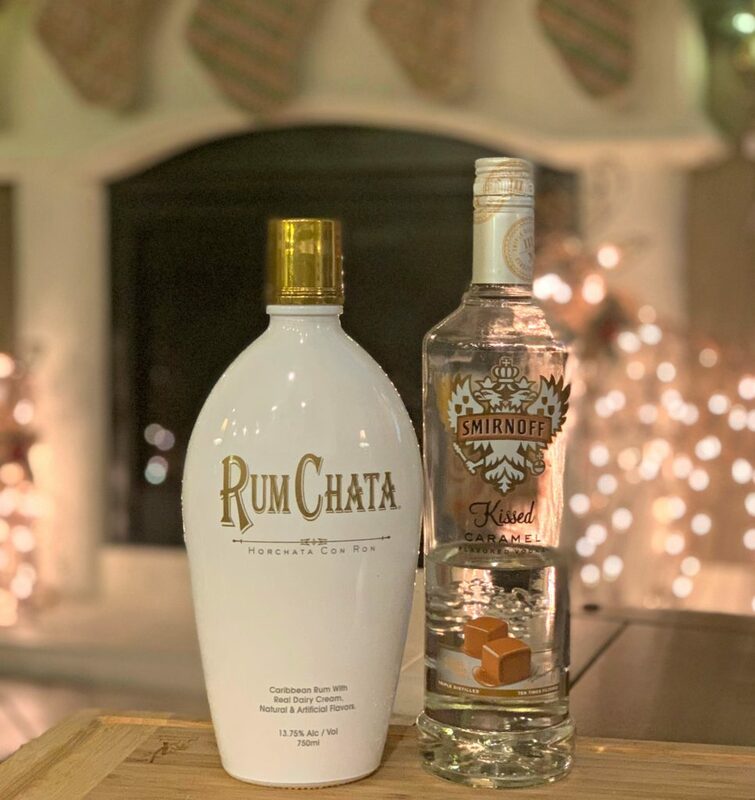 Pour vodka rumchata mixture into prepared glass. Did you know I am on Instagram?? Click here, https://www.instagram.com/thecookinchicks/, to follow me!! Good catch, thanks! Sorry I forgot the “salted” step, haha! I have corrected recipe! Thanks again!! Shockingly similar to “Tipsy Bartender’s” recipe. Good question, I am not sure! I received the recipe from a friend at a dinner party. He made us these and we loved them!